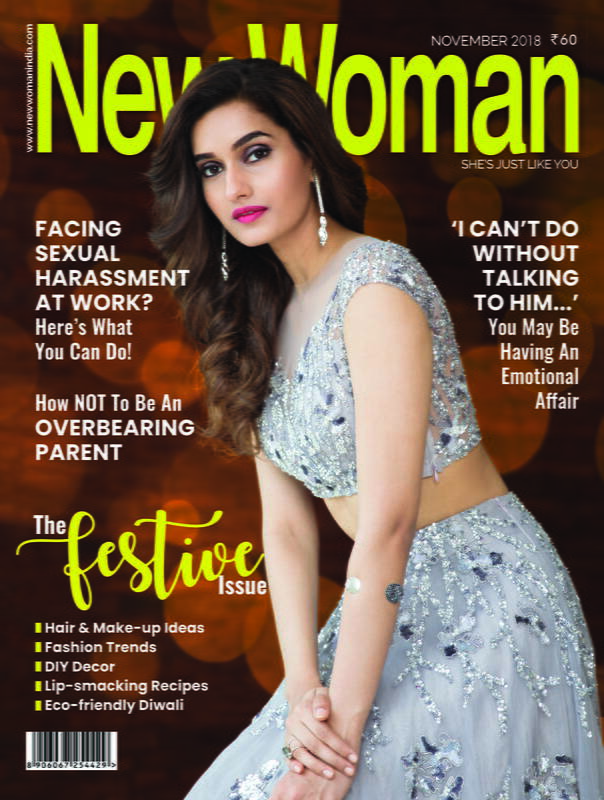 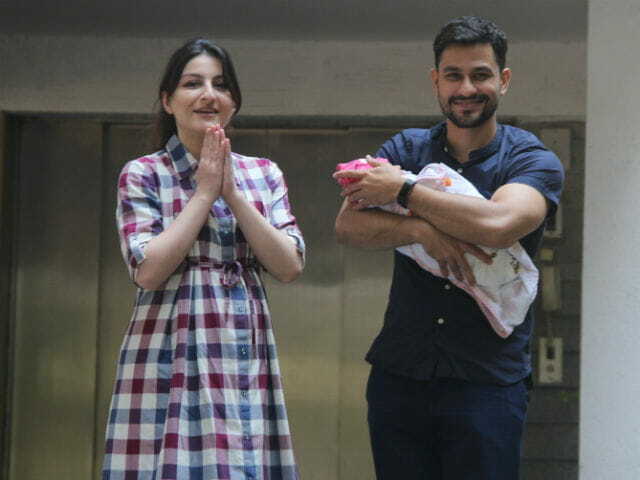 Soha Ali Khan and Kunal Khemu’s little fairy has come home. 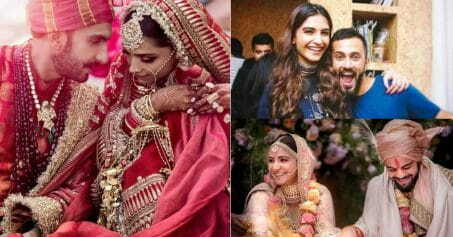 After leaving from Breach Candy Hospital, Kunal and Soha posed for the media. 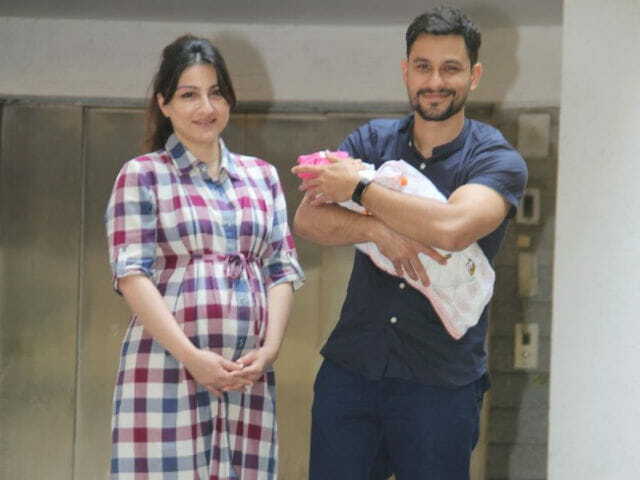 Kunal was seen holding his little bundle of joy in his secured arms while Soha was seen glowing. 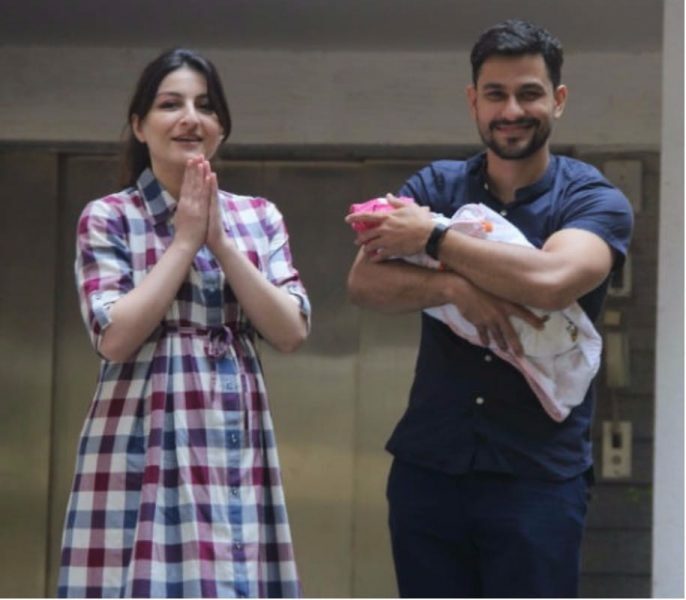 Also Read: Soha Ali Khan And Kunal Khemu Blessed With A Baby Girl! 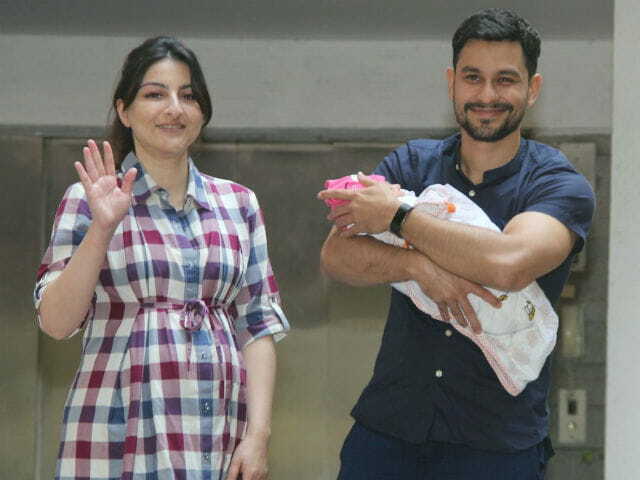 On September 29, Soha gave birth to a lovely baby girl and Kunal had confirmed the news on social media.